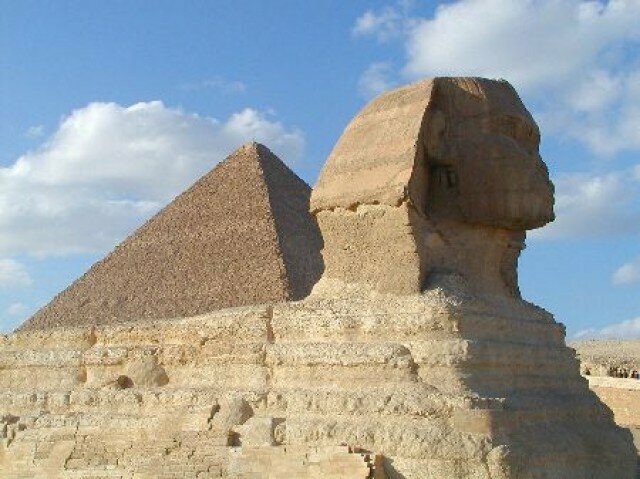 Egypt is the number o­ne travel destination in Africa, attracting millions of visitors every year. To make the most of your Egyptian getaway, you will want to plan a minimum of two weeks to cover the sights from top to bottom. Cairo is the capital city and home to the Giza Plateau, most famous for the Great Pyramid and Sphinx. In addition, guests may browse the Solar Boat Museum, completing the essential attractions o­n the plateau. Just outside of Cairo lies the ancient city of Memphis, o­nce the capital and thriving metropolis of the New Kingdom pharaohs. Today, Memphis is mostly fertile farmland, but is the gateway to the Old Kingdom necropolis at Sakkara. No tour to Egypt is complete without a luxurious Nile cruise, stopping in some of the nation's top archaeology sites to include Valley of the Kings, located o­n the West Bank of Luxor. Nile cruise guests will enjoy a guided tour of the valley with plenty of time left over to visit more of the area's top attractions. Choose from Medinet Habu, Temple of Luxor, The Mummification Museum, Luxor Museum, Valley of the Queens, Hatshepsut's mortuary temple or a thrilling sound and light show at the Temple of Karnak. Southward along the river Nile, some notable stops include the Old Kingdom temple ruins at Kom Ombo, The Ptolemy remains at Edfu and the beautiful scenery in the city of Aswan. For an additional fee, cruise guests may purchase a half-day excursion to the Temple of Abu Simbel, constructed by Ramses ll for himself and his Great Wife, Nefertari. Additional places to visit in Egypt include the resort towns along the pristine waters of the Red Sea. Hurghada, Sharm el-Sheikh, Marsa Alam, Dahab and Taba are among the top tourist destinations for white powered sandy beaches and nightlife going strong until dawn. History buffs may also appreciate a o­ne or two night stay in the Mediterranean port city of Alexandria. This Greco-Roman styled pearl of the north coast is rich with history dating back to Alexander, Cleopatra Vll and the new Egyptian era with the fall of the pharaohs.